Each year at the PCA National Specialty, the PCA Foundation sponsors seminars at no cost to those who attend. In addition, we were able to offer seminars at the 2013 PCA Regional on the latest in canine reproduction and puppy temperament and socialization. Materials such as articles, links to websites, etc. from past seminars are available on this page. To purchage videos from past seminars, please see the “Support PCAF” page. Danika Bannasch, DVM, PhD, one of the country’s leading canine geneticists, brought her audience up to date on state-of-the-art in breeding healthy dogs–making wise use of the increasing array of DNA tests, pedigree analysis, frequency of a disease in our breed and other tools to help us in our quest to breed poodley Poodles who live long healthy lives. Jane Killion presented her acclaimed program to help breeders and owners do the right thing at the right time to ensure the best possible outcomes for puppies. Jane is a breeder, professional trainer, AKC conformation judge and author. 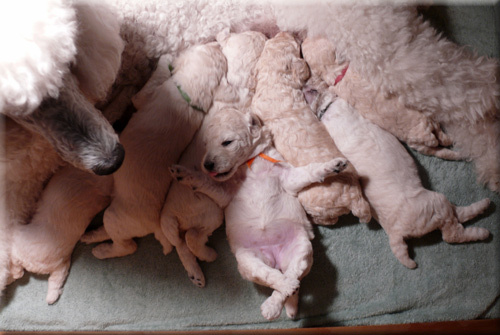 Puppy Culture is the product of her quest for science and wisdom that would lead to best outcomes for her own puppies, a quest that ultimately led to a worldwide movement helping breeders take advantage of our power to give puppies their best possible start and prepare puppy buyers to follow through with the Puppy Culture program. Richard Ford, DVM, MS, DACVIM, DACVPM, who serves with Dr. Ronald Schultz on the American Animal Hospital Association’s Canine Vaccination Task Force, presented an important update for anyone living with dogs. Hardly seems like six years since Dr. Schultz spoke at our PCAF Seminar about vaccines and vaccination programs, but much has changed in the vaccine world since then, including new vaccines (such as oral Bordetella and the recently announced canine flu vaccine), Rabies Challenge progress, new recommendations and more. If you missed Dr. Ford’s outstanding talk, you can see his summary of current recommendations here: 2016 Canine Vaccines and Vaccination. Chris Zink, DVM, PhD, DACVP, DACVSMR, shared her expertise and perspective on what to consider as we make decisions while awaiting further studies. A leading researcher into the risks and benefits of spaying and neutering, Dr. Zink summarized her own work and other research on the impact on growth, development, behavior and long-term health. In a recent paper in the Journal of the AVMA, for example, Dr. Zink and colleagues reported on more than 2,500 dogs in Evaluation of the Risk and Age of Onset of Cancer and Behavioral Disorders in Gonadectomized Vizslas: Vizsla Study. As a researcher in canine sports medicine and award winning author and consultant in canine performance training, Dr. Zink has a special interest in the impact of early spay-neuter on growth and development of performance dogs. For her 2013 research review, click here: Early Spay-Neuter Considerations in Canine Athletes. Dr. Zink concluded her PCAF presentation by discussing the exciting new world of regenerative medicine that could transform treatment of injury in canine athletes. 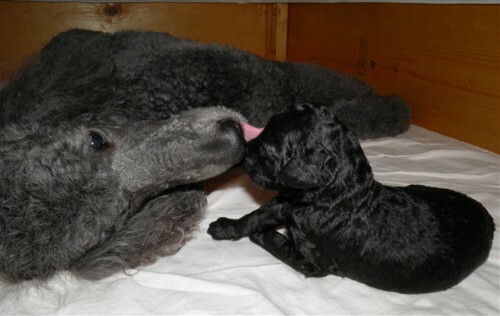 One study sponsored by the AKC Canine Health Foundation, for example, is expanding on exciting early results using stem cells and platelet-rich plasma to treat the canine version of rotator cuff injury, one of the most common sporting injuries in our Poodles. Myra Savant Harris, RN, presented her popular seminar on whelping and puppy intensive care. The audience gave us lots of positive feedback with comments like “sensational” and “priceless.” If you missed this session, check Myra’s site (www.myrasavantharris.com) for info on her upcoming seminars at other locations. You can also find her wit, expertise and wisdom on canine reproduction, whelping and puppy intensive care in her books, available at her site and from online book sellers. Leading canine cancer researcher Matthew Breen, PhD, told his audience about today’s exciting advances in the fight against cancer in dogs and how purebred dogs are helping researchers understand cancer in humans. As Dr. Breen pointed out, our role in this work is as important as that of the scientists. If you have a dog diagnosed with cancer and would like more information on providing samples for research, contact Dr. Breen’s research team at info@BreenLab.org. For all of us who ever wondered “how they do that” when we see corded Poodles at PCA, Joe Genarella gave a fascinating presentation with his beautifully corded friend, discussing the long history of corded Poodles and demonstrating technique. His book, Cording the Poodle for the Show Ring, is a resource for anyone interested in learning the art of this historical Poodle presentation. Pat Hastings brought her popular new seminar to PCA, discussing the importance of sound structure for durable injury-free dogs in any of the sports we enjoy with our Poodles. Our dogs will do anything we ask, even things they are structurally incapable of doing without breaking down. The more we learn about structure, the more we know what we can reasonably ask of them and the better decisions we can make in our breeding programs and in matching puppies with the right homes. Highly respected in the dog world, Pat Hastings has been involved with dogs since 1959, has evaluated thousands of litters of puppies for structure and is dedicated to sharing her knowledge. If you missed this seminar, check her site for occasional specials on her book of the same name, other books and DVDs and dates of her seminars across the country: www.dogfolk.com. Christopher Pachel, DVM, DACVB, had some surprises for his audience as he brought us up to date on factors shaping puppy temperament and the art of socializing our puppies, including the art of helping new owners build on their puppy’s good start. Dr. Pachel is a board certified veterinary behaviorist with extensive experience including house calls! For more on his talk, click here: Dr. Pachel Talk. Ronald D. Schultz, PhD, Professor and Chair of Pathobiological Sciences at the School of Veterinary Medicine, University of Wisconsin-Madison, spoke about vaccines and vaccine research, clearly explaining reasons behind current vaccination guidelines (see below) and answering excellent questions from the audience. Dr. Schultz is widely recognized for his expertise in immunology and vaccinology. He is a member of the American Animal Hospital Association Canine Vaccine Task Force. To view AAHA canine vaccination guidelines, click here: Vaccine Guidelines. Attorney Charlotte M. Mitchell brought her audience up to date on critical estate planning to protect our pets if they outlive us. To see her publication Estate Planning for your Pets, click here: Estate Planning. Dennis O’Brien, DVM, PhD, gave a research update on Polymicrogyria in Standard Poodles, and Nick Duesbery, Ph.D., spoke on the exciting “Bark to Bedside” role purebred dogs are playing in research to understand and defeat cancer. Claudia Orlandi, PhD, presented her widely praised seminar based on the belief that anyone can and should understand practical rules of animal breeding and canine genetics in the quest to breed better, healthier dogs. In addition to discussing key breeding tools and concepts, Dr. Orlandi addressed kennel blindness and many common misconceptions handed down from breeder to breeder. In 2009, Dr. Orlandi received the AKC Breeder of the Year Award for her Topsfield Bassett Hounds. Although she does not allow videotaping of her seminars, Dr. Orlandi’s presentations are based on her book The ABC’s of Dog Breeding Home Study Program. 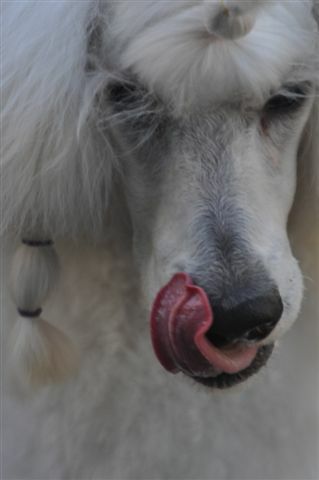 You can learn more at www.abcsofdogbreeding.com. Kara Kolster, DVM, DACT, discussed the technology and knowledge available today to help us achieve the breedings we want as we move forward in our breeding programs. Dr. Kolster is a Board Certified specialist in Theriogenology (reproductive medicine).